First I should like to point out that I changed the disclaimer on the right side of this site. When I had the big idea to introduce new blog ethics last year, I forgot to think about a few things. Initially I had the idea to ask artists for their permission to use their work, but I now think that this is impractical. The main reason is, that I don´t want to arouse expectations. Much like the wrong impression Ebay sellers get from this blog when they search the Internet for the value of an obscure flexible record. They find it reviewed here and next they put the flabby little piece of plastic up on Ebay for 20 Euros. Of course nobody ever buys it. Just because I posted it here, doesn´t mean that there is a market. I rarely pay more than one Euro for a 45. Right now I do one of only three record collector blogs in Germany (they´re all in my blogroll). Only three people who care enough to do the work of digitizing the music, scanning the sleeve and labels, writing a few sentences and posting it here. I could understand the curiosity though. If somebody approached me and asked to use my cartoons, I´d also wonder about their intention. I´d probably ask a lot of unnecessary questions too. On the other hand, if I would find that somebody had written something nice about me on the Internet and posted some samples of my work with it, I´d probably be flattered. But how do I explain to a 70-year old retired musician that I would like to “publish ” their music on my blog for free? My motives to do this blog are hard to explain even to some of my closest friends, so how could I explain them to complete strangers? While the idea of getting in contact with artists still appeals to me, it just seems too complicated. Especially since I´m not doing this to make a profit. I will continue to be very careful with the material I choose, but then again I will not bother with timid moral concerns about sharing some people´s work that they forgot about fifty years ago. Consequently I will do as I have done since the beginning: post first and ask questions later. 2.The artists I present are either anonymous, pseudonymous, dead or no longer active. 2. I feel that if nobody has cared to reissue a record for 50 years, it is fair to present it. Last month while in Stockholm I bought a handful of EPs issued by the Swedish Gala International label. 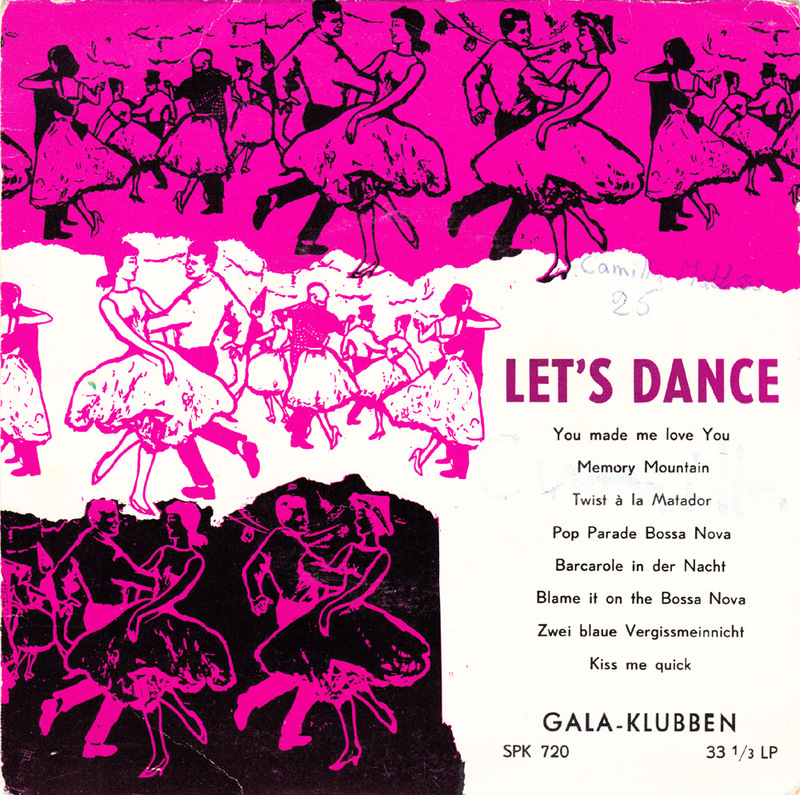 Gala-Klubben was a record club, a type of budget label, that would send subscribers random pop records for a set fee that was below the regular price of records in shops. It gave people who were too lazy to seek out music by themselves a chance to own and listen to some new records. 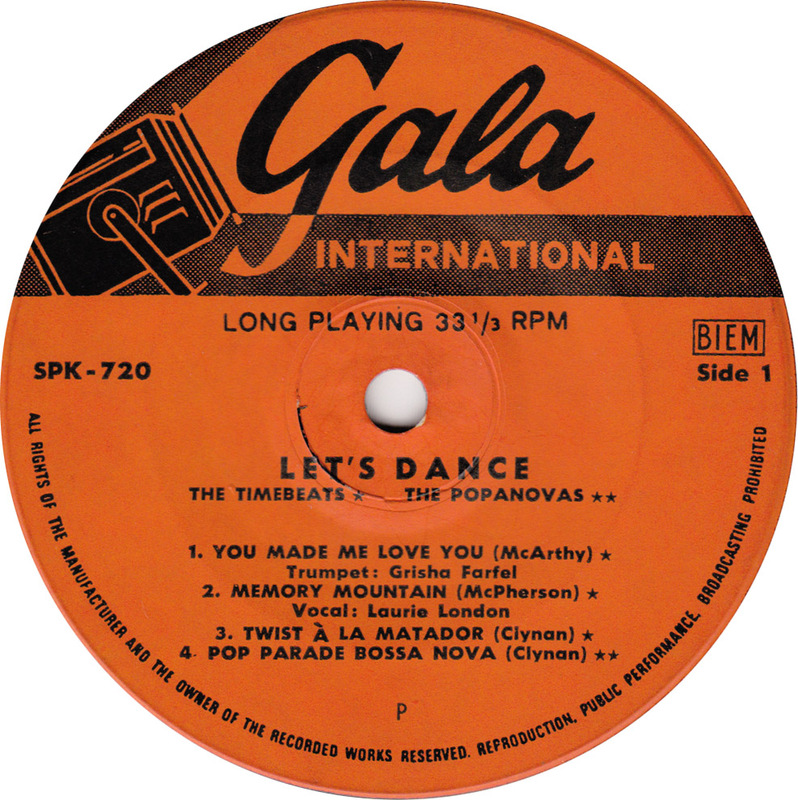 I don´t know much about their operation, but apparently Gala acquired material from other record clubs like Concert Hall/Varieton, Jazztone and the Dutch Populaire Platen Kring. “Lead trumpet of the Billy Cotton Band, Grisha Farfel is frequently featured as a star soloist in the Band´s radio and television programmes. He has appeared in four Royal Command Performances, and has played for Royalty all over the world. His easy, relaxed style is coupled with an extremely high standard of playing technique. Laurie London in Germany in 1960. Grisha Farfel with the Billy Cotton Band in 1964. The four other songs on the B-side of this EP were probably taken from the Schlagerfavoriten (1. Folge) LP published by the German or Swiss Varieton label. Typical for budget labels the artists worked under a pseudonym. What size was the EP? 10″? Some of the budget labels here tried to squeeze 4 songs per side on a 7″ 45rpm single (super microgroove, and not very good quality). The quality of these cover versions is much higher than the run-of-the-mill budget labels here in the US. I wouldn’t have minded having a subscription to this label. You’ve done excellent research, as usual, and I’ve saved your notes on a .txt file to keep in the folder with the mp3s and label/cover scans (so be sure to tell your girlfriend that there IS someone else who cares about these records). I’m glad you’ve re-thought your criteria for posting. The main thing is to present music that would not be available elsewhere. And trying to be good and fair, and asking people for permission, can often cause unnecessary trouble. The only drawback has been that there are some people who collect these mp3 files and put them up for sale as uncredited comps on Amazon.com and places like that. BTW, many music digitizers leave in little things so they can identify their work whenever people re-post their files. And there is now another case where a major label took two tracks from a music blogger, remastered them a little more, and offered them for sale as a download. There have been several previous cases that proved the major labels have been going through music blogs (the ones they have been trying to shut down) to find the best vintage material so they can re-master tracks that they no longer have in the vault. Your beliefs and attitude are much higher than theirs, so don’t worry too much about the ethics of what you’re posting. You’re doing fine. Lots of 1950s-1960s hi-res commercial art scans (right click to open in another page and then drag it in to your folder), and there are horror comics on his companion blog. I have an art background also, and there’s a lot of hard-to-get vintage stuff here. You’ll definitely find a lot of interesting art research material, and he often credits the artist. Have fun. Glad you emphasized the “not available elsewhere” thing. That really is the most important one. And also the most difficult. 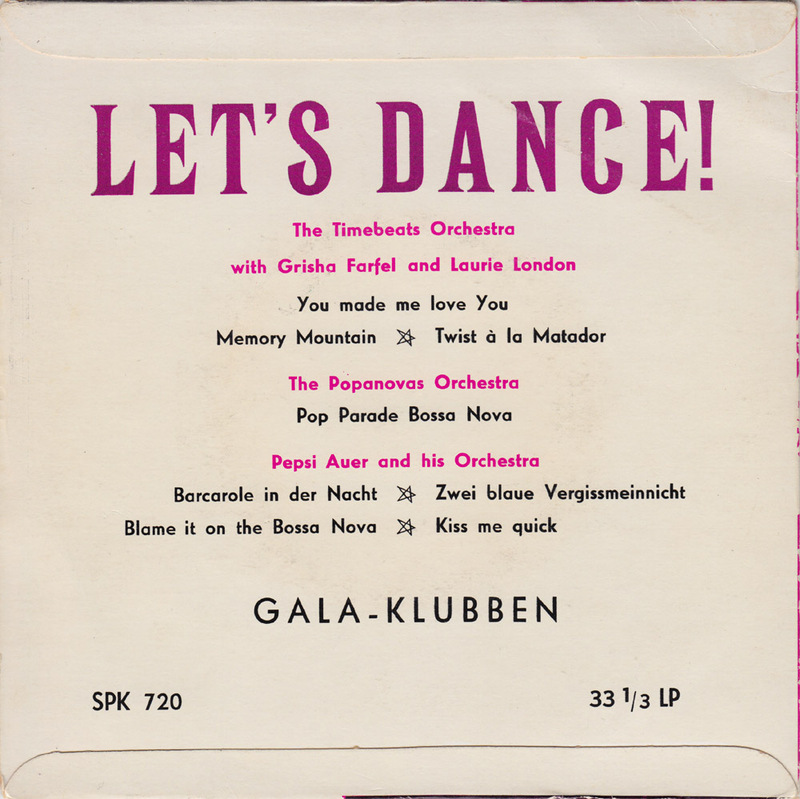 For example I bought another 8-song Gala 7″ in Stockholm by the Sophomores, a 1950s vocal group from Boston. Great R&B/Pop stuff but I will not post it, because the songs have been reissued on CD in the 90s. And thanks for pointing me to Andeverythingelsetoo. It´s a great blog and a great source! I´ll check it out tonight!